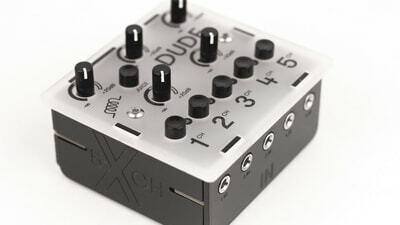 Dude is a portable battery operated 5 channel audio mixer with mini jack inputs and output. Each channel has a dedicated mute button and up to +20dB gain to boost weak signals and saturate line level signals. 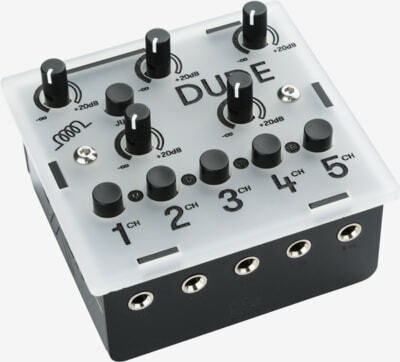 Dude is a monophonic mixer but can drive your headphones and therefore its perfect for small portable rigs or submixes on stage. It runs on four AA batteries (or external power supply) and it is almost as small as its battery pack. 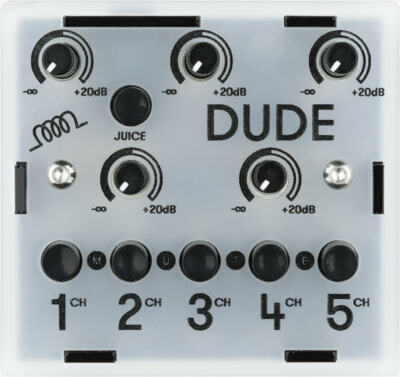 Because each channel has enough gain, it can be turned into a tone generator by feeding the output back to an input thru a passive eq and other simple circuits. 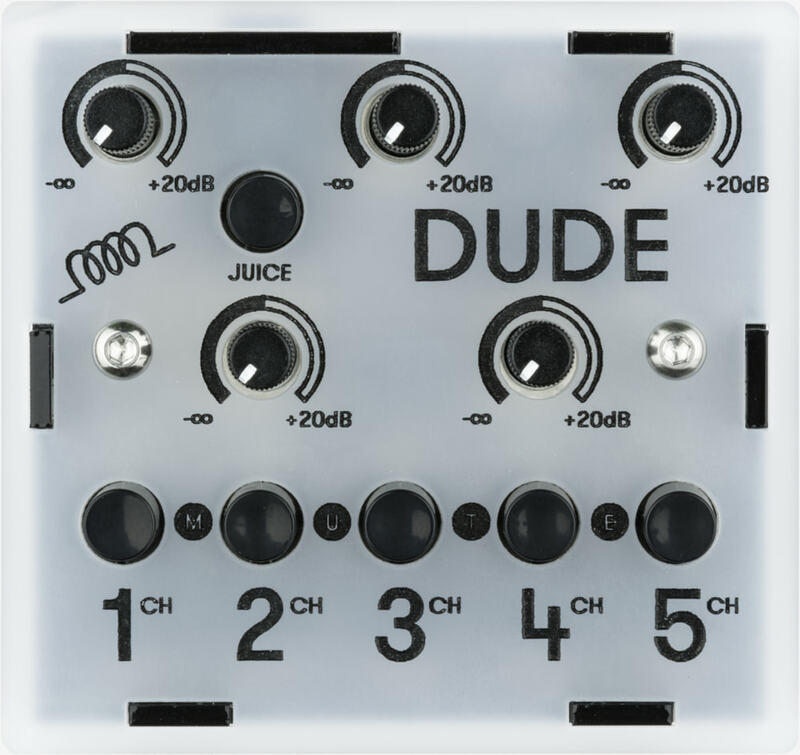 You can build your own Dude with our DIY kit. Go through the complete assembly guide below and make sure that you understand all the steps.